My Husband and I had the privilege to go see the Southwest on our vacation. We’ve never been and well, let me just say, we were blown out of the water! Words such as beautiful, pretty, even breathtaking doesn’t seem to explain how we felt at times. It felt like we were walking through a movie set sometimes, surreal, just dreamlike. Anyway...(I need to shake myself back into reality here, excuse me,) I wanted to share with you some great places to visit if you go there in the future. We visited many National Parks. 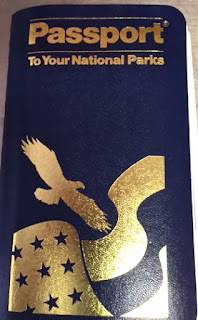 Now I need to say up front that my Son whom I mentioned in a previous blog is a Park Ranger in Nebraska. More on that later. So I am intensely interested in anything involving National Parks. But let me give you some tips. 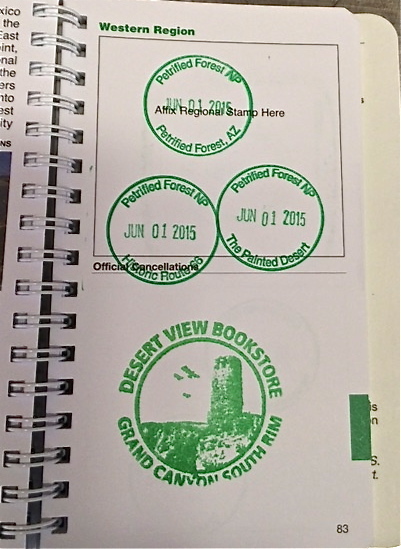 Each visitors center at the parks have a place where you can place a cancellation stamp in your book. It’s free and it’s just a cool way to memorialize your visit. It would be a nice memento to leave to your kids or grandkids. We visited Petrified Forest, Grand Canyon, Navajo National Monument, Canyonlands, Arches, and Agate National Monument. Each one was unique and special. Petrified forest’s rocks and vistas were pretty. The old Route 66 also went through the park and there was a special display memorializing that. We only had time to do the Painted Desert portion of the park. It did not disappoint. Of course Grand Canyon was special. We entered in the East entrance which is less busier. We also went before the sun came up and watched the sunrise in the canyon. Wow! Now, on a side note...if you leave out the east entrance, the village of Cameron has a trading post that serves amazing food. We ate breakfast there and I still think about that meal today. You can get authentic Navajo fry bread there. It’s kind of like an elephant ear, but much better. Now, the next stop was Navajo National Monument. To be honest we didn’t have very high expectations. 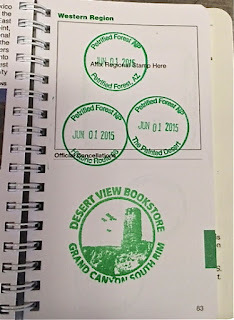 It was on the way and I wanted to get my book stamped. But it blew us out of the water let me tell ya! 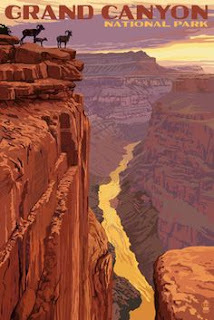 Beautiful, wide sweeping canyons and a great hike through the desert. The main attraction was at the end of our hike. An overlook into the canyon revealed a pueblo city carved into an arch. It’s a very remote park in the Navajo reservation. In fact goats walked across the road in front of us. It was surreal moment hearing their collared bells as they moved through the desert. I felt like I was in another country. Next stop: Canyonlands which was otherworldly. If you go, check out the “Islands in the Sky” vista. We spent a few hours just in that section driving around to the lookouts. We stayed in Moab, Utah which sits in between Canyonlands and Arches. It’s a cool little town with neat shops and great restaurants. We stayed in a “Mom and Pop” hotel which was much cheaper than the chains. Once again we rose before sunrise to enjoy Arches. It’s a great time to enjoy the beauty of the rocks glowing and lack of crowds. We only had half a day, so we went to the Windows section. What a wonderful hike we had! There are numerous arches in this area. The snow covered Manti La Sal Mountains were in the background. Let me just insert here that this area is Hot! If you intend to do any hiking, early morning and evening is a must. Our last stop was Agate Fossil Beds in the Nebraska panhandle where my Son works. Now I’ve only been through Nebraska one time and it was on I-80. Off the interstate, wow! This is beautiful country. Sweeping vistas, with buttes here and there. Agate sits in a very remote area. The visitors center is special. There were mammal fossils found in the park, and they have them set up to look at. Also, there are Indiana artifacts in a separate room. We were impressed! I hiked both trails and loved the bird watching there. The Niobrara river runs through the park. Of course the highlight was seeing our son again. If you are in the area, or passing through, stop in and check out the park. You won’t regret it! I know I skimmed through a lot of details, but for the sake of boring you, I cut it short. If you have any questions, leave it in the comments. Next Thursday I’ll share about our visit in Monument Valley which is a blog all to itself.